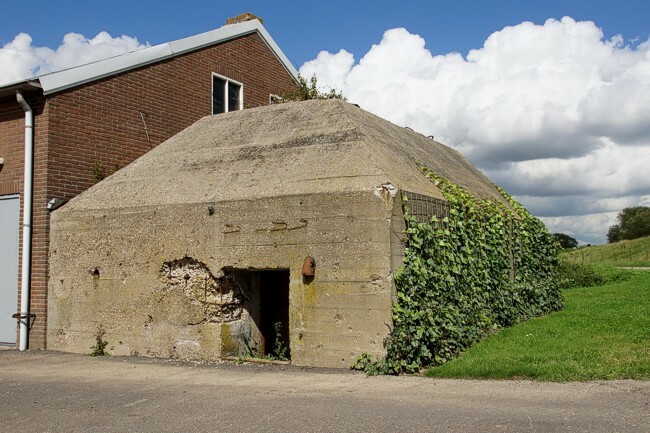 A Dutch shelter for personnel, type pyramid. 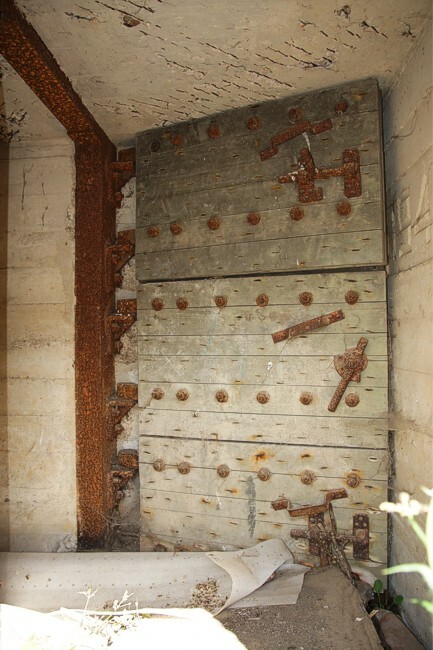 A heavy wooden door in three parts. 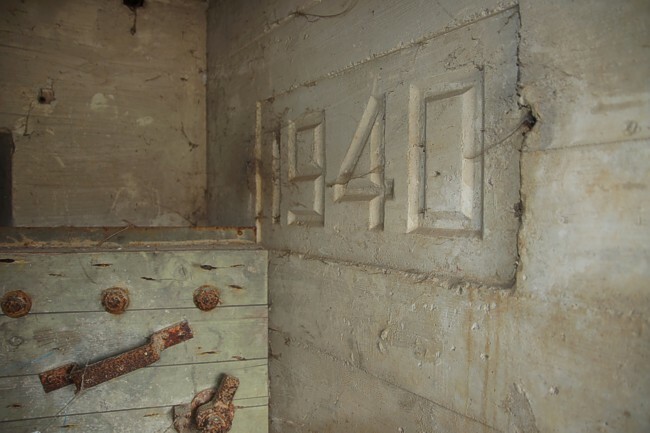 We wonder if the concrete was hardened when the Germans came in May that year. 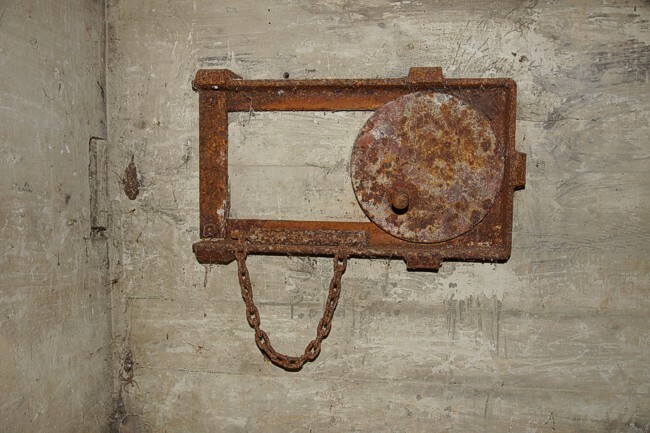 The closing mechanisme for entrance defence still works. 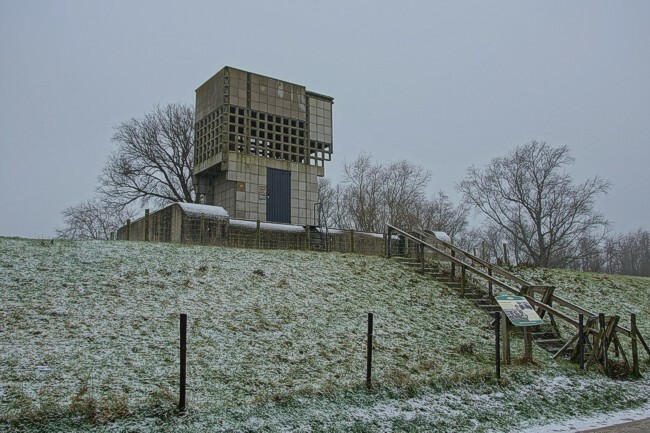 The cold war airspace control tower stands on top of a Dutch Mg casemate type VIS.